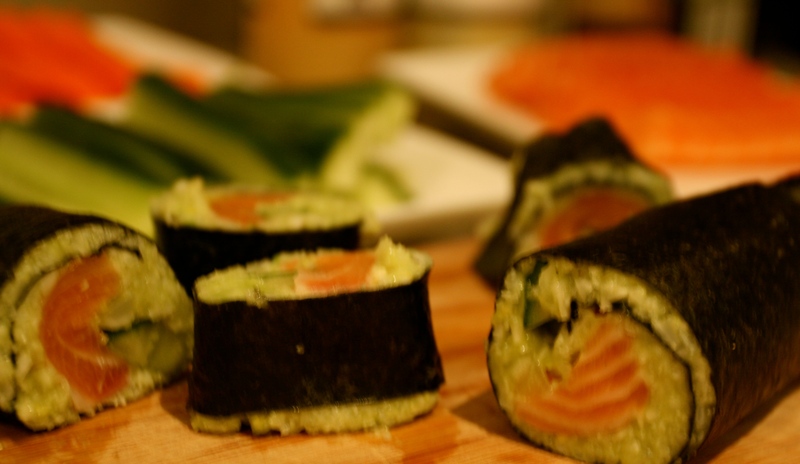 Cauliflower, Avocado, Salmon, Nori Sheets, Cucumber, Carrot (or other ingredients you like on your sushi), Water or Stock, Chilli Mayo, Soy Sauce and Wasabi if you like. 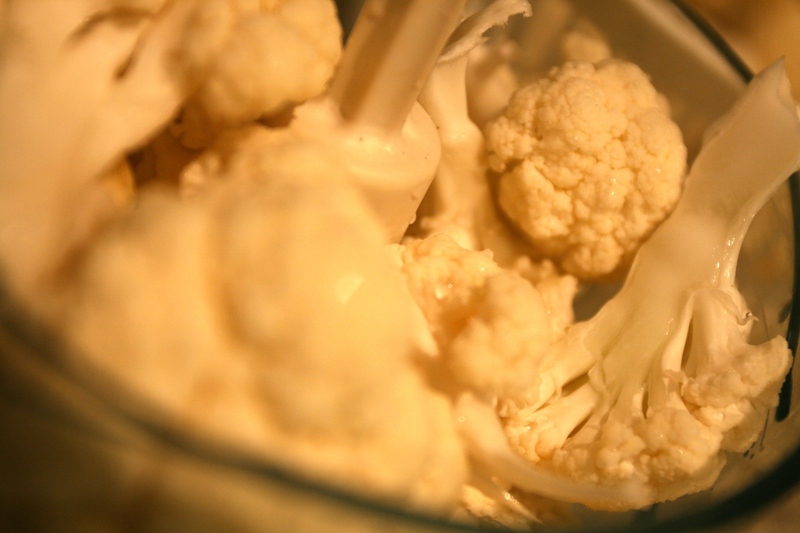 Break your cauliflower into small flowers and whizz them into crumbles. Put them in a saucepan and pour over some vegetable stock or water (I probably put enough to cover about half). Cover with a lid and bring to the boil. Stir a few times and leave it until cooked. Then spread the caulirice on a plate/chopping board in a thin layer and let it cool. Try to let any excess fluid stay in the saucepan. Get rid of any bones from the salmon and cut it into thin slices. Chop the cucumber and carrot (and anything else you like) into sticks. Put to the side. 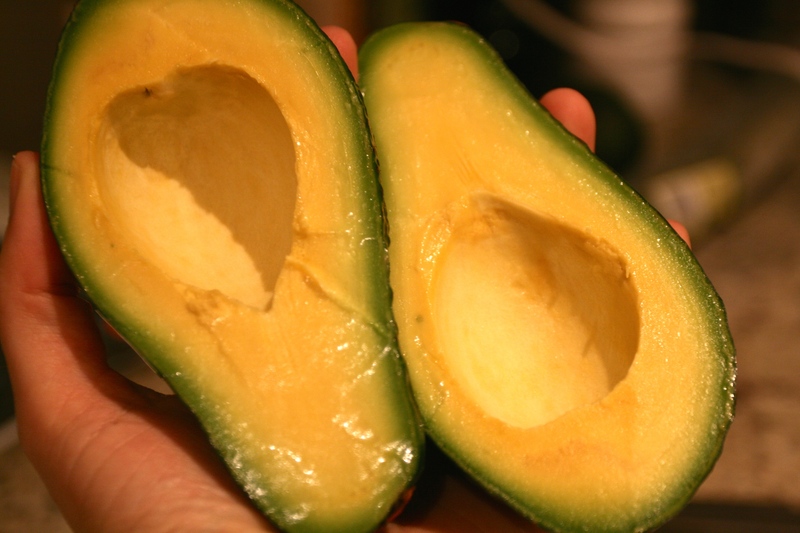 Mash the avocado. Now you need to wait until the caulirice cools down. You know I like to spend my time efficiently, so here you can fold some clothes, do some pushups or a Sun Salutation or two, maybe even a Happy Baby? You could call a friend you haven’t seen in a while or simply watch some MKR. Up to you, but the caulirice needs to cool down. When the rice is cool you can put it all together. 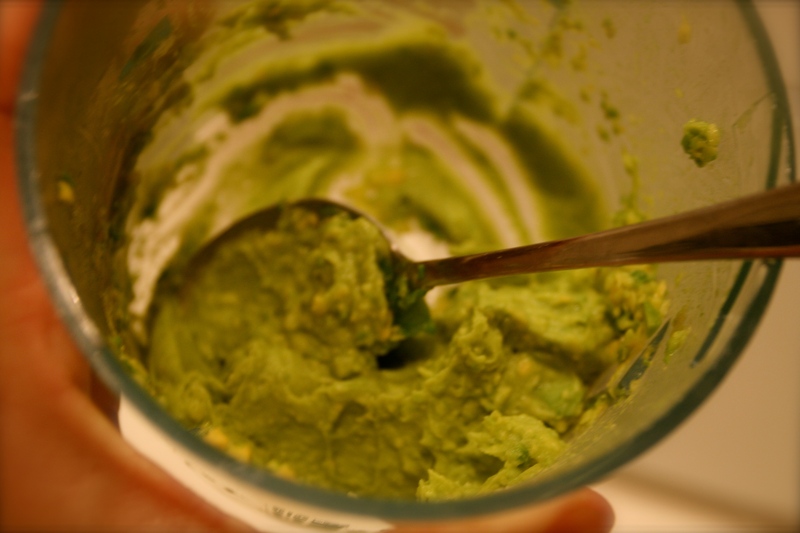 Mix some caulirice with mashed avocado. Or chilli mayo. Make one batch of each. 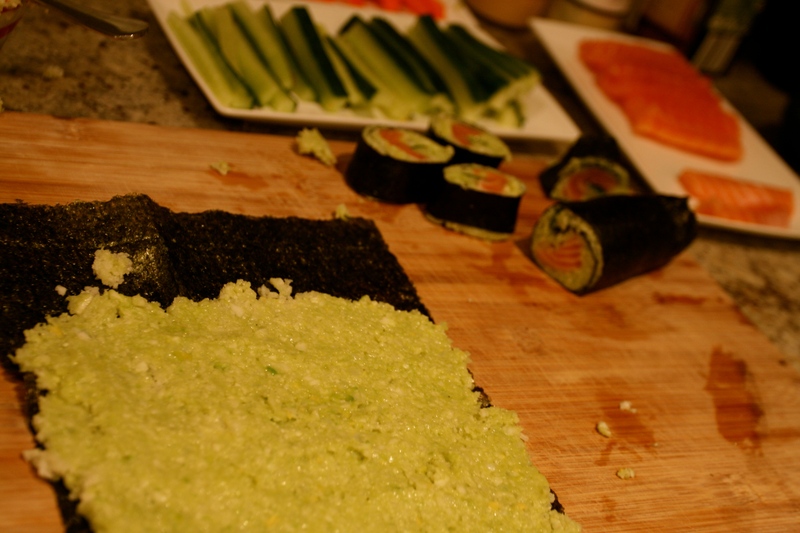 Then spread a layer of caulirice on a nori sheet. 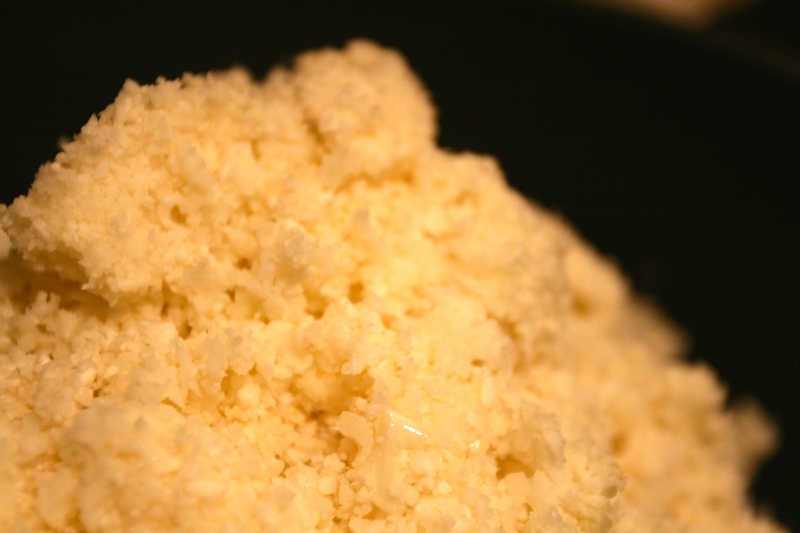 Leave about 3cm in one end free of rice. 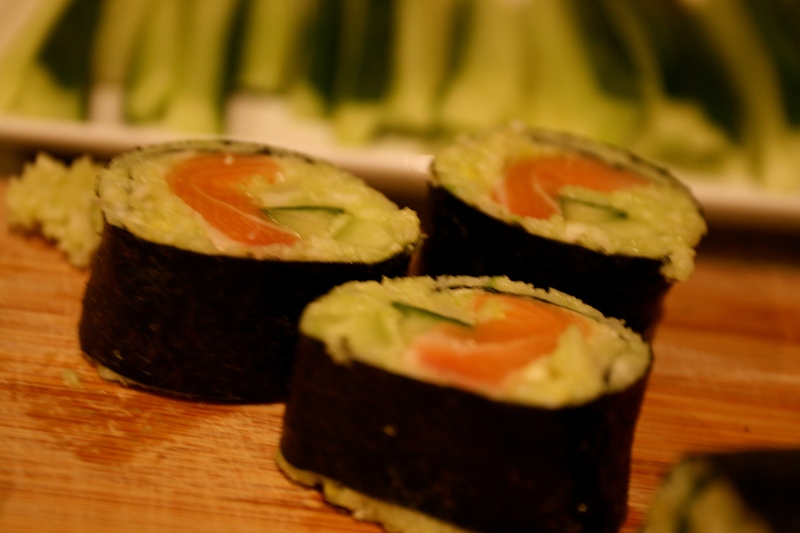 Then add some salmon, cucumber and maybe carrot (why not, pile it up, just remember you need to roll it up afterwards). Wet the end you left without caulirice with a little water and roll from the opposite end, before you seal the sushi roll in the bare end. Put in the fridge as you continue, until there is no caulirice left. It’s a good idea to leave them in the fridge for a little while, before you use a razor sharp knife to cut the rolls into sushi pieces. Serve with soy sauce and wasabi. 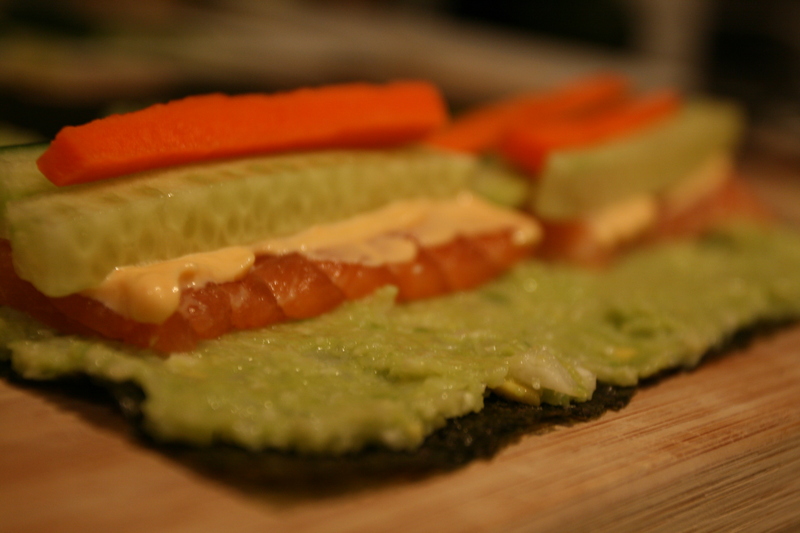 Enjoy your delicious low carb sushi without the added carbs. Yum, yum, yum! 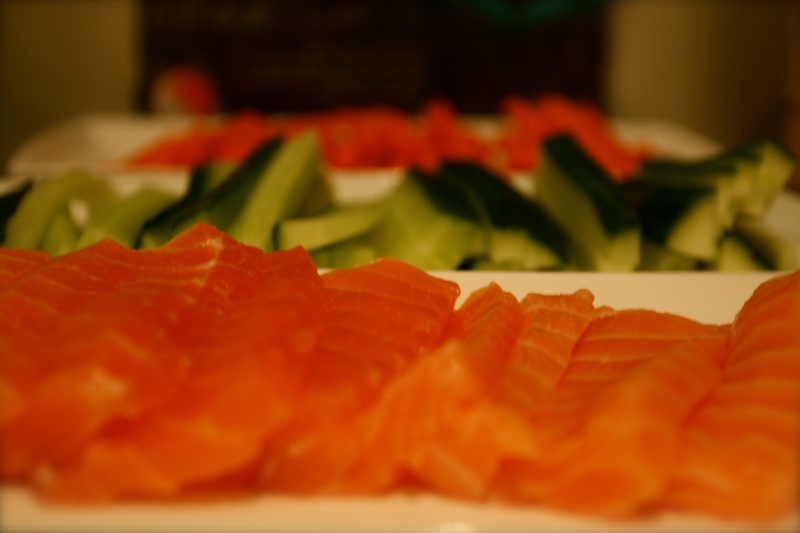 This entry was posted in Recipe and tagged Cauliflower, Cauliflower Rice, Food, Healthy Lifestyle, Homemade Sushi, LCHF, Low Carb, Low Carb High Fat, Natural, Recipe, Salmon, South Melbourne Market, Superfood, Sushi. Bookmark the permalink. What a great idea!! 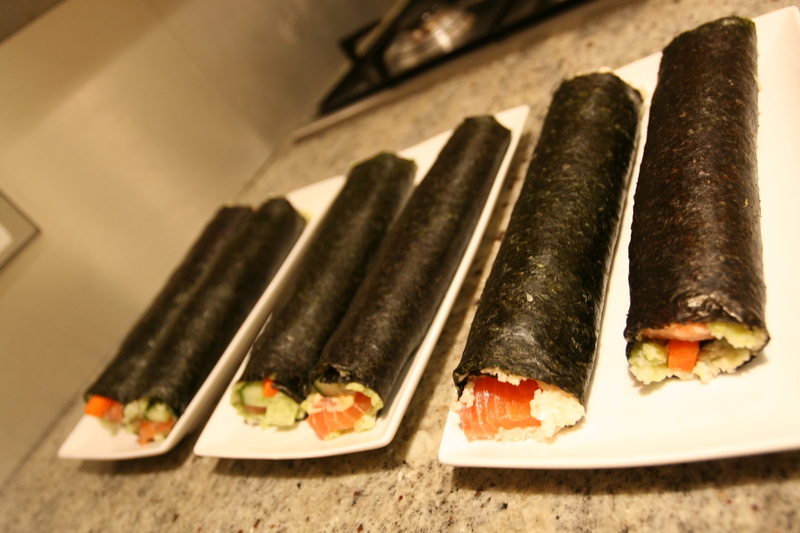 Being a HUGE lover of sushi, this has to be my favorite low carb recipe yet! Thank you Awesome Ashild!! !